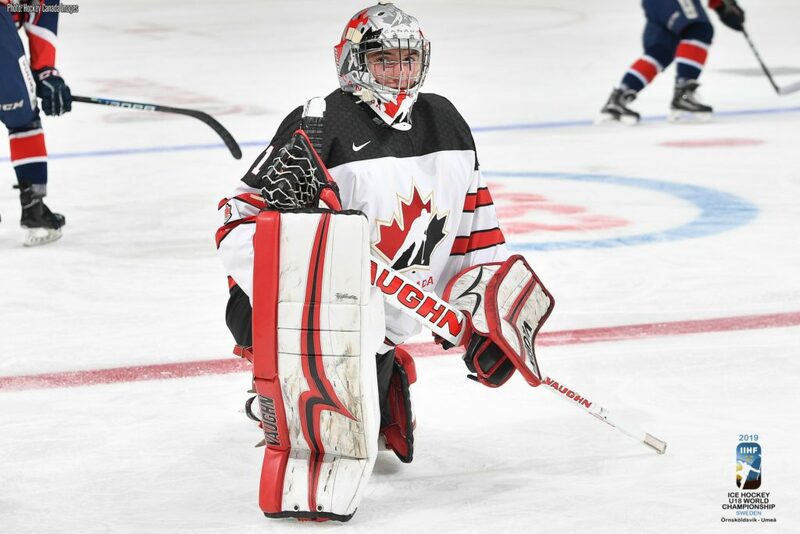 Prince George Cougars’ goaltender Taylor Gauthier (01) has been named to Team Canada’s training camp roster ahead of the 2019 Men’s World Under-18 Hockey Championship. Canada’s National Men’s Under-18 Team will assemble in Finland next week before flying to Sweden for two pre-tournament games ahead of the 2019 Men’s World Under-18 Hockey Championship. Gauthier is one of three goaltenders that make up the 23-man training camp roster. The Calgary, Alberta, product played in 55 games this past season, collecting 15 wins and sported a 3.25 goals-against average and a .899 save percentage. He was tied for sixth in the WHL in shutouts with three. Gauthier played in the Sherwin-Williams CHL/NHL Top Prospects Game in Red Deer, Alberta, in January, and is ranked fifth among North American Goalies in the NHL Central Scouting midterm rankings. The 2019 Men’s World Under-18 Hockey Championship is from April 18th-28thin Örnsköldsvik and Umeå, Sweden. Gauthier is no stranger to wearing the maple leaf, having represented Canada twice on the international stage. Gauthier won a gold medal with Team Canada at the Hlinka-Gretzky Cup last August in Edmonton, Alberta. He also played on Team Canada White at the 2017 World Under-17 Hockey Challenge in Dawson Creek and Fort St. John, BC. TSN will broadcast 15 games, including all of Team Canada’s match-up at the Under-18 World Championship, all quarter-finals, both semifinals and the bronze and gold medal games.